Whoa!…Vaccinations? | LIVING IN THE PACIFIC - Philippines to Guam... One Day at a Time! Whoa!…Vaccinations? – LIVING IN THE PACIFIC – Philippines to Guam… One Day at a Time! I came upon a article today which led me to the Center for Disease Control and Prevention (CDC) website and got me to thinking. I remember when I was in the Navy, and upon acceptance of my orders to Guam years ago, I was required to get my military shot card up to date (for all those mysterious Asian tropical diseases) – prior to beginning my travel. Again, some years later when I received orders to the Philippines, more shots were required. Back then, not only were scare tactics used to convince you to get in the shot line….it was required! I remember when I was stationed at Miramar NAS in San Diego, and having our paychecks held hostage one payday until you reported to receive the “Swine Flu” vaccine. I also remember it made me sicker than I have ever been. Today may be different and I don’t really know for certain. So I began looking through other blogs and forums, and little (if any) information is found concerning vaccinations. What about Cholera or Dengue Fever? Malaria? Typhoid? Measles in the Philippines…? Diseases can come and go and areas of high risk develop from time to time. I began to wonder if I was at a higher risk because of my age. Are you at risk? Is age even a factor? Take the West Nile Virus in parts of the U.S. lately. These days you just never know. While this post is not intended to alarm anyone, my intent is to advise you that before you begin your travels, maybe you should consult with your doctor to better determine whether you are at risk of, or susceptible to, any communicable diseases. You may learn that you are a candidate for certain immunizations and vaccinations that apply to your chosen destination. The best place to start is to visit CDC’s website to learn of current and identified disease risks and whether there have been any Travel Notices issued related to where you are going. 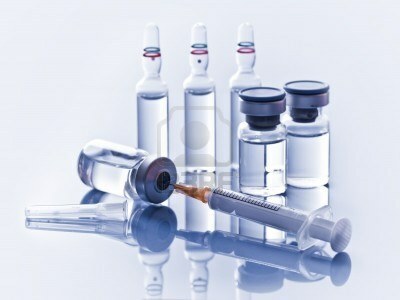 Here you will find all the information you will need on the topic of Vaccinations. You may be like me and do not desire to be nobody’s pin cushion, but then again, sometimes it is better to be safe than sorry! This entry was posted in Health and Fitness, Officially Speaking and tagged bacteria, dengue fever, disease, disease prevention, immunizations, malaria, Philippines, shots, sickness, Traveling, vaccinations. Bookmark the permalink. Well when we arrived no one asked us for shot records, but before we left we went to the doctor, told him what we were doing and got any shot that ‘could’ be applicable. The #1 shot we got was for Yellow Fever. Those are good for 10 years and our had been out for several years already. No since in taking chances here or anywhere really. John, I was making a reference as to when I was in the Navy when we couldn’t pick up our orders and travel package until we were cleared by medical. As a civilian, there are no rules or requirements that you get shots and nobody checks “shot cards”. It’s entirely up to you. Randy, I had a bunch of vaccinations when I visited the Philippines the first time in January 20__? to meet and marry my asawa. But when we retired to the PH in July 2009, we didn’t get any of the shots. Thankfully, we haven’t had any problems aside from a kidney stone attack I had, which no shot in the world could have helped me with. Good luck on the new site! Thanks Dave. Since I hate needles, and have already had most vaccinations in my lifetime, I will forgo the boosters. The only one I’m not really sure of would be Cholera. I’ve had the shot but don’t know if a booster is required over time. I’ll check with the Dr. prior to leaving. I’m sure you can also get immunizations and vaccinations while there. I just received an email question from a reader whether I had any information about Dengue Fever that was going around in Bohol. I am not even close to being an expert but I do know that it is a mosquito borne virus much the same as the West Nile Virus. The best advice I could ever give is search the internet for further information or talk you your doctor. I have attached a quick LINK that describes Dengue Fever. Here is a link to more information about the spread of Dengue in Bohol and Iloilo.